I’ve never seen anybody so maligned before. I mean what they’re doing to Mitt Romney is far worse than anything they ever accused us of doing to Barack Obama. Because we were always rooted in the truth. Never did we edit a tape. Never did we edit a tape. Never did we spin something that wasn’t true. When the White House demanded retractions on Fox, and demanded I be taken off of Fox and everything else they. The question was asked: ‘He’ll apologize for anything we got wrong we’ll correct it, what is it?’ They didn’t come back with anything. What they’re doing to Mitt Romney is beyond politics because we’re not talking about politics. When has anyone on NBC or MSNBC ever compared Mitt Romney to the Devil? Doing so would certainly be far worse that anything anyone on MSNBC is doing to Romney, but Beck did exactly that to President Obama. Remember this from August of 2010? "...what they’re doing to Mitt Romney is far worse than anything they ever accused us of doing to Barack Obama." The second "they" are Beck's critics, and that bit of comparison certainly was addressed here and on the Crooks and Liars blog. Pointing out that Romney is a flip-flopper, a liar and an incompetent campaigner, which is what MSNBC has been doing, does not hold a candle to the sleazy propaganda that Beck engages in. Context is precisely what made that editing of the President's press conference such a "slight of hand." Obama was addressing trade with China, and Beck deceitfully turned the phrase "level playing field" into a statement of world-wide income equality. No one, absolutely no one on NBC or MSNBC, is lying about Mitt Romney as systematically and routinely as Beck did on Fox and still does on the radio if at all. There is more nonsense about MSNBC on the video clip from Beck's site, but time does not allow a lengthier expose of the lies Beck is telling about a network he clearly does not watch much if at all. 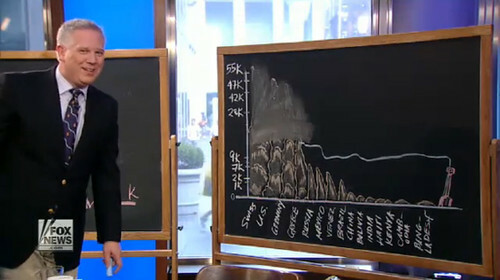 For example, hosts on MSNBC most certainly are talking about the deceitful Paul Ryan, Beck's "soulmate." Because facts, particularly facts about Beck's lies, usually backfire against those who love and support Mr. Beck, his followers will not be convinced; but the fact of this monologue is as clear as country air. 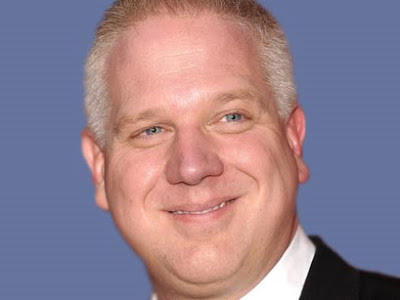 Glenn Beck is a bold-faced liar! Do not lose an argument with one of his gullible and ignorant followers on this matter. 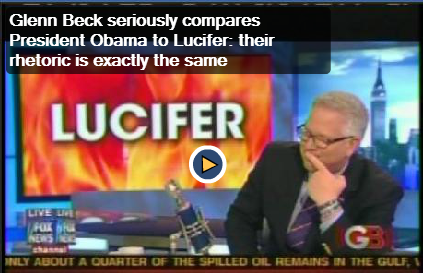 Update, 10/03/2012: Previously here, Beck was exposed projecting his own dangerous, violent vitriol onto MSNBC's Chris Matthews. Aside from his apparently complete ignorance about what MSNBC is actually saying about Paul Ryan, Beck is clearly projecting onto MSNBC precisely what he and Fox "News" has been doing to President Obama for the last four years.